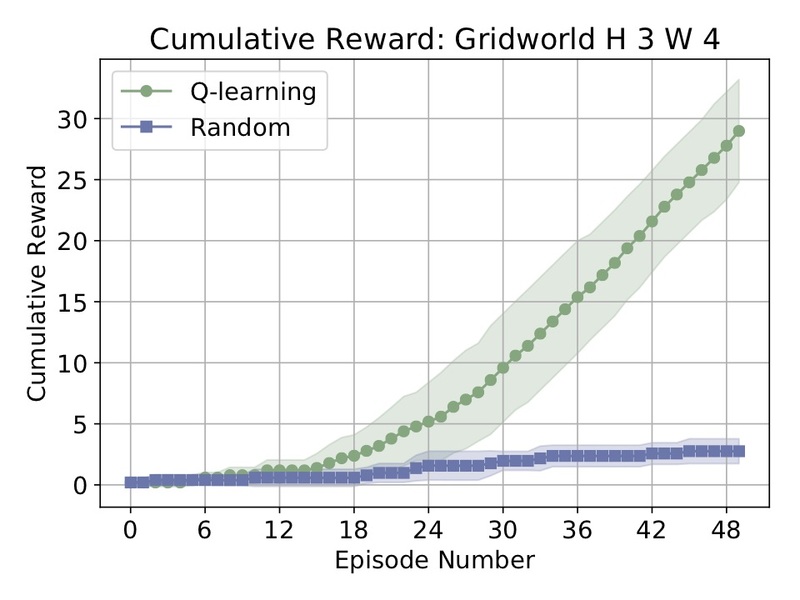 simple_rl | A simple framework for experimenting with Reinforcement Learning in Python. 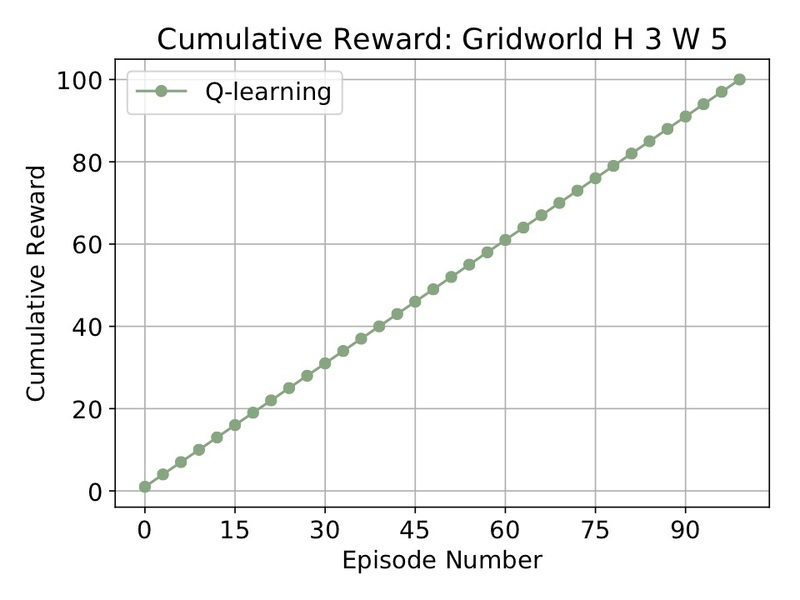 A simple framework for experimenting with Reinforcement Learning in Python. A brief tutorial for a slightly earlier version is available here. As of version 0.77, the library should work with both Python 2 and Python 3. Please let me know if you find that is not the case! simple_rl requires numpy and matplotlib. Some MDPs have visuals, too, which requires pygame. Also includes support for hooking into any of the Open AI Gym environments. The library comes along with basic test script, contained in the tests directory. I suggest running it and making sure all tests pass when you install the library. Alternatively, you can download simple_rl here. I just added a new feature I’m quite excited about: easy reproduction of results. Every experiment run now outputs a file “full_experiment.txt” in the results/exp_name/ directory. The new function reproduce_from_exp_file(file_name), when pointed at an experiment directory, will reassemble and rerun an entire experiment based on this file. The goal here is to encourage simple tracking of experiments and enable quick result-reproduction. It only works with MDPs though – it does not yet work with OOMDPs, POMDPs, or MarkovGames (I’d be delighted if someone wants to make it work, though!). See the second example below for a quick sense of how to use this feature. Some examples showcasing basic functionality are included in the examples directory. # Run experiment and make plot. Easy! This is a new feature, so there may be bugs – just let me know as things come up. It’s only supposed to work for MDPs, not POMDPs/OOMDPs/MarkovGameMDPs (so far). Take a look at reproduce_example.py for a bit more detail. (agents): Code for some basic agents (a random actor, Q-learning, [R-Max], Q-learning with a Linear Approximator, and so on). 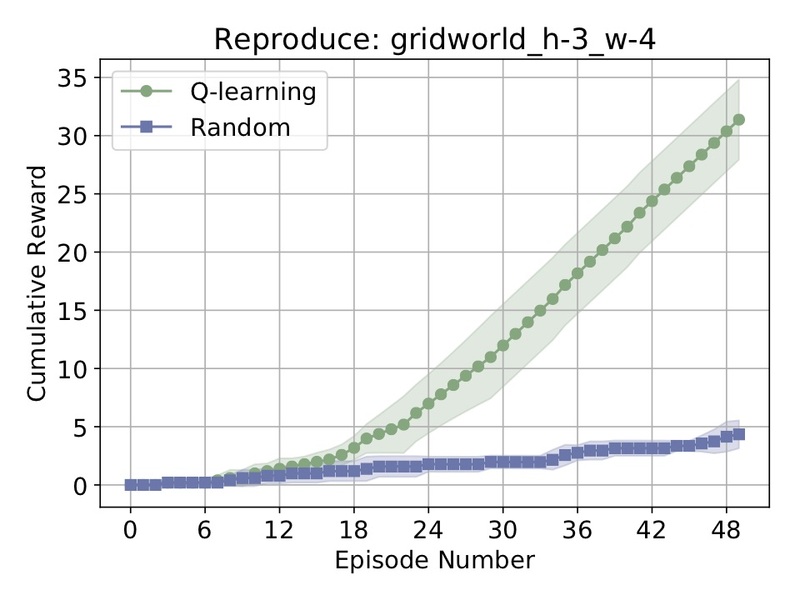 (experiments): Code for an Experiment class to track parameters and reproduce results. (mdp): Code for a basic MDP and MDPState class, and an MDPDistribution class (for lifelong learning). Also contains OO-MDP implementation [Diuk et al. 2008]. (planning): Implementations for planning algorithms, includes ValueIteration and MCTS [Couloum 2006], the latter being still in development. (tasks): Implementations for a few standard MDPs (grid world, N-chain, Taxi [Dietterich 2000], and the OpenAI Gym). (utils): Code for charting and other utilities. If you’d like to contribute: that’s great! Take a look at some of the needed improvements below: I’d love for folks to work on those items. Please see the contribution guidelines. Email me with any questions. A static variable, ACTIONS, which is a list of strings denoting each action. Implement a reward and transition function and pass them to MDP constructor (along with ACTIONS). I also suggest overwriting the “__str__” method of the class, and adding a “__init__.py” file to the directory. Create a State subclass for your MDP (if necessary). I suggest overwriting the “__hash__”, “__eq__”, and “__str__” for the class to play along well with the agents. A method, act(self, state, reward), that returns an action. A method, reset(), that puts the agent back to its tabula rasa state. Deep RL: Write a DQN [Mnih et al. 2015] in PyTorch, possibly others (some kind of policy gradient). Efficiency: Convert most defaultdict/dict uses to numpy. Reproducibility: The new reproduce feature is limited in scope – I’d love for someone to extend it to work with OO-MDPs, Planning, MarkovGames, POMDPs, and beyond. simple_rl is maintained by david-abel. This page was generated by GitHub Pages.